It began with Daughter of Smoke and Bone. It continued with Days of Blood and Starlight. It ends with Dreams of Gods and Monsters. Common enemy, common cause. 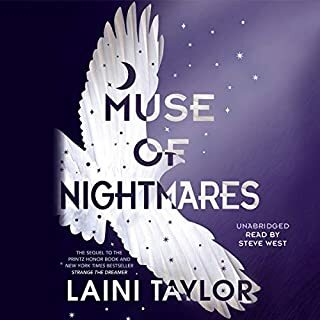 When Jael's brutal seraph army trespasses into the human world, the unthinkable becomes essential, and Karou and Akiva must ally their enemy armies against the threat. It is a twisted version of their long-ago dream, and they begin to hope that it might forge a way forward for their people. And, perhaps, for themselves. But there are bigger threats than Jael in the offing. A vicious queen is hunting Akiva, and, in the skies of Eretz...something is happening. Massive stains are spreading like bruises from horizon to horizon; the great winged stormhunters are gathering as if summoned, ceaselessly circling, and a deep sense of wrong pervades the world. What power can bruise the sky? From the streets of Rome to the caves of the Kirin and beyond, humans, chimaera, and seraphim will fight, strive, love, and die in an epic theatre that transcends good and evil, right and wrong, friend and enemy. At the very barriers of space and time, what do gods and monsters dream of? And does anything else matter? It was a fantastic trilogy, I can't wait for the movie adaption, but I still hope there is more of the story to come. A perfect ending (or beginning) to a beautiful story. What a conclusion to an amazing series! If you could sum up Dreams of Gods and Monsters in three words, what would they be? What was one of the most memorable moments of Dreams of Gods and Monsters? The ending is beautiful and particular plot twist is so unexpected and such a happy idea, it sticks with you! What about Kristin Hvam’s performance did you like? Each moment and character is so well formed, one wants to remain tucked up in her world, it's very hard to leave! Here is hoping this isn't the last we see of this world, the end came far too soon! magical entrancing writing at its best. My most favorite book series in the world. Beautifully written, wonderful world building and characters that I hold in my heart forever. 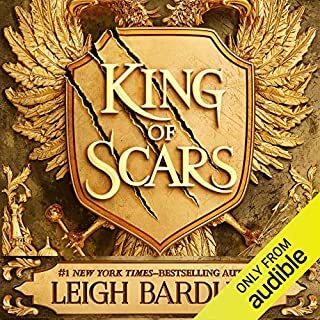 I am not normally a fan of American narrators for fantasy books but her performance and range of voices is outstanding. I thoroughly recommend this series you will not regret it. I found the first book, Daughter of Smoke and Bone, a couple of months ago but only started to listen a couple of weeks ago. Once I had, I couldn't stop. Bought the other two books and listened at every opportunity. Fabulous story of love and war and many other things I can't consciously put my finger on. Lots of depth and wonderful characters and Hope. It's actually quite a relief to find a trilogy that manages to stick to only 3 books and actually wrap up the story whilst leaving plenty of room for more visits to that world(s). I'll try not to be spoilery but I was satisfied with the outcome. To be honest, I found the Akiva/Karou love story the least interesting bit. My favourite characters are definitely Mik and Zuze as they respond in the way I consider entirely appropriate to the discovery of other worlds and magic - largely by being sarcastic and never just accepting each new revelation as normal. There are some enjoyable discussions about the logic and limits of wishing that were great. I, for one, am happy that long descriptive battle scenes are avoided as they never work for me. Kristin Hvam is excellent. I liked her Tiago and Razgut voices particuarly - I guess baddies are more fun. Some of the writing is quite lyrical and poetic which she manages very well. She can't really do a Belgian accent but that's expecting a bit too much specialisation from any reader. Dreams of Gods and Monsters is a very fitting conclusion to the trilogy. I was afraid that the ending might disappoint me a bit, but it really didn't. I am very happy with the final chapter of this adventure. The only reason I didn't give it a five star is because it didn't need to be that long. I wouldn't say it's dragged because she writes so beautifully, but compared to the previous books I needed some extra time finishing it. And just to comment the performance: Hvam's narration is outstanding as always. 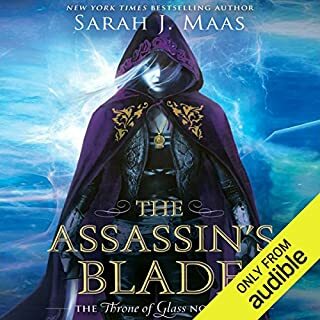 This is absolutely a great book (especially as audiobook), and I'm sure all who liked the first two books will love the ending as much as I do! Very slow to get going if it really did hard to follow made worse by being in audiobook format where you may miss the odd sentence. So much descriptive language that totally fails to set any scene. 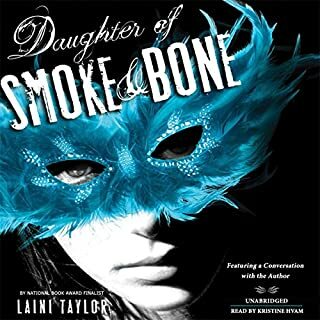 Book 1 in the daughter of smoke & bone was truly very good shame the other books couldn’t keep pace. For me this series felt like the more of it I consumedthe more steam it lost so to say. Not that I didn't enjoy it because I did. 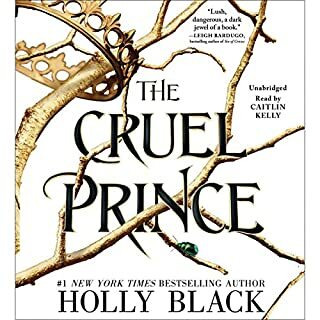 I devoured the first one in one sitting and was an instant 5 star read, the second was a 4 star read, the novella was a disappointment at 2.5 stars then this, while better wasn't the best. I just felt like after everything that went down in the series including this, the concluding book the ending felt a little too easy come by and rushed. 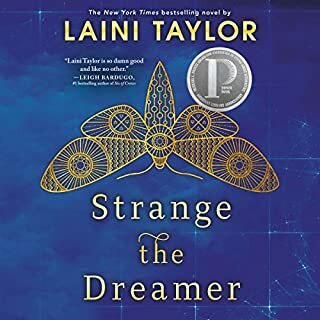 Despite my slight disappointment in this book I must say that the book was still a pleasure to read because of Laini's writing style so it's still worth experiencing for that alone. I regretted reaching the end of this epic adventure as I can't imagine a sequel could provide any grater thrills. Satisfying conclusion to this brilliant trilogy! What other book might you compare Dreams of Gods and Monsters to, and why? All the great love and adventure stories. Which character – as performed by Kristin Hvam – was your favourite? This whole series is completely mind blowing - and it has a significant twist. The heroes are totally unlikely and the opposite of what you expect. Great book and nice narration. Will there be another trilogy?? What a trilogy- and I mean that in a good way! I want more! I love the quirky and charming characters and playful dialogues. Perhaps some characters were somewhat one dimensional and expect some cheesy moments but, the narrative, and key characters make up for those moments. Couldn’t get enough. I hope there’s more. When I first read this book (in book form) I was amazing by the brilliant prose. Hearing it aloud brings forth a new level of beauty. Laini Taylor is an artist. intense, emotional, heart warming & love inspiring. the story captures you & pulls you into its fantastical world. Great storyline but in places overly descriptive and wordy. Perhaps I'm impatient but I found this to be a tad bit annoying and several times fast forwarded the audio book... Otherwise, I thoroughly enjoyed the trilogy. Beautifully written and original storyline. I loved the characters, the humour, the world setting and the constant angst in the first two books. 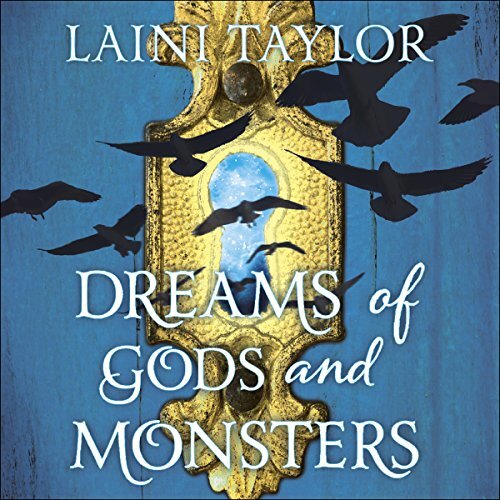 I did enjoy and appreciate Dreams of Gods and Monsters, but it was not as epic and gut-wrenching as the first two books. I really wanted to love this book but it just didn't amaze me and felt it could have had more potential. I did however like the ending to this series, it's just a shame I wasn't as invested in this book as the others. Lovely as a clear night, the Milky Way and stars. Beautifully written, great narration and a struggle to stop listening.